LexLips lip plumper was a lip enhancement product that was manufactured by Lexxus International. Although they have now discontinued manufacturing, this lip plumper there are still some tubes of this plumper floating around and so a review seemed to be in order. 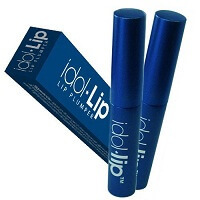 LexLips lip plumper sells for about $40.00 a tube; although this product has been discontinued it probably can be found on sale on various marketing sites. According to the company, this lip enhancer helps lips to appear fuller, defines lip edges, and smoothes the lines around the lips. This product is supposed to have long term effects on lip fullness. There are however, no clinical studies, no before or after pictures, and no testimonials to back up the manufacturers claims. Although LexLips lip plumper has several ingredients including: Bis diglyceryl, polybutane, Titanium dioxide and mica as well as several others it relies on only two active ingredients menthol and I-arginine to produce the lip plumping action. On close inspection of the ingredients there simply seems to be nothing in the ingredients themselves that would indicate that any lip fullness would remain for long periods of time. There are few reviews to be found for Lexlips lip plumper. The couple that could be found gave completely opposite opinions with one finding that this lip plumper met all its promises and other finding the product to be a huge disappointment. The fact that there is a lack of reviews for this product and that it has been discontinued however seems to speak volumes. As any consumer knows a company does not discontinue a product that delivers on its promises and has satisfied customers. This means either the company failed to convince anyone to try this lip plumper or people who did try it were completely unsatisfied with their results. It is extremely difficult to come up with a list of pros and cons for a product that has no clinical studies, no testimonials and next to no reviews. Judging by the lack of available information on this product and the fact that it has been discontinued perhaps the discontinuation itself can be viewed as a pro. 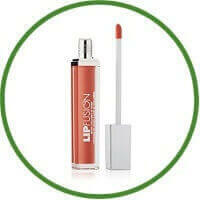 Lexlips makes a few claims about its ability to plump lips both instantly and over the long term. However, the company offers absolutely no proof to back up any of these claims and the fact there are few reviews for this product only adds to the doubt that this product can deliver on any of its promises. In addition, the fact that the company itself has discontinued manufacturing the product is in and of itself proof of the products failure to deliver on any of its claims. While remaining tubes of this product may still be around and for sale, potential customers would be advised to pass up this product even if it sells at a huge discount as it is unlikely to work and with it no longer being manufactured it is unlikely that dissatisfied customers would be able to get their money back.